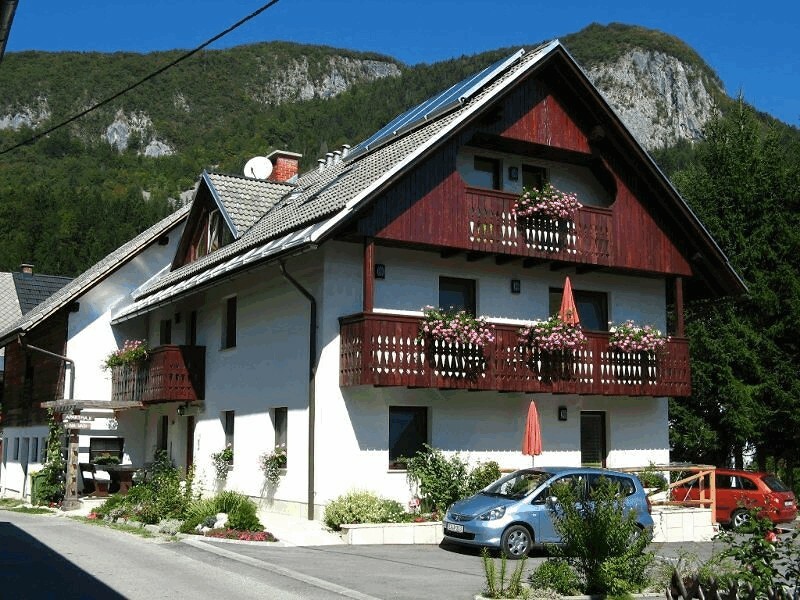 Apartments Bohinj - Na vasi are located in a small village Savica in the beautiful Bohinj valley, just a few steps from the Sava river, surrounded by green forests, high mountains and beautiful nature. We offer you new, nice and comfortable apartments (for 2 - 7 people), suitable for families, couples, group of friends, fishermen, ... Apartments are very well equipped and ready for your cosy vacations. In front of the house there is a barbecue area with garden furniture, small playground for children and a parking place for your car. 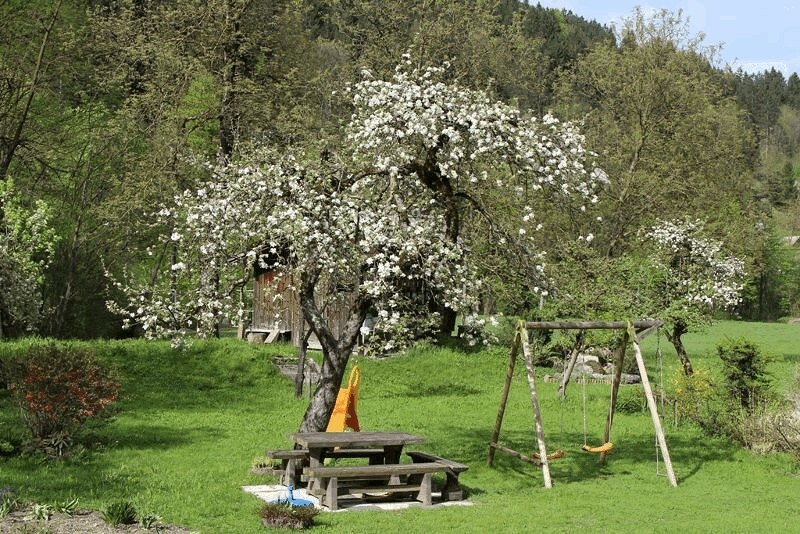 Our Apartments Na vasi are located in a small village Savica, right next to the Sava river and new Bohinj Bycicle trail. 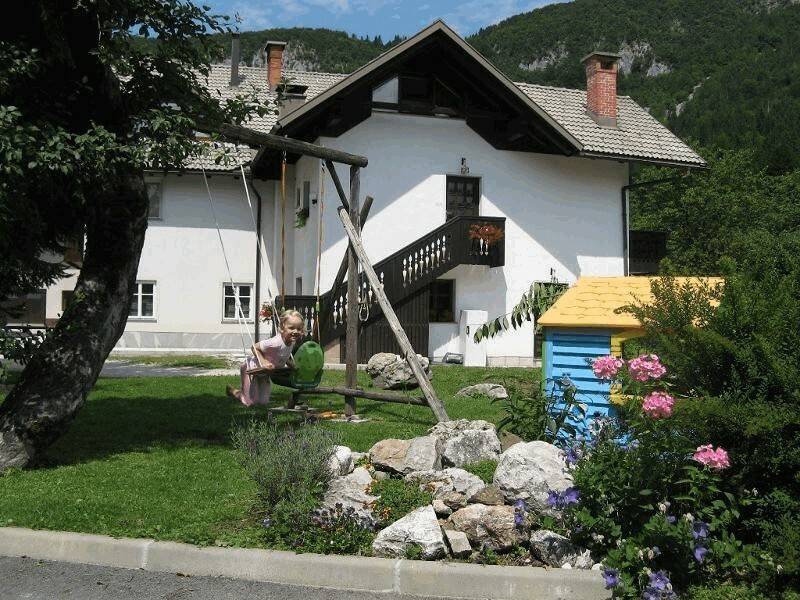 From the Lake Bohinj the apartments are 3,5 km away and from Bohinjska Bistrica ((post office, bank, medical center, shopping center ...) 2.8 km away. Both destinations are reachable on foot or by bikes on bycicle trail already mentioned. 25.12. - 03.01. 15.03. - 31.05. 01.10. - 24.12. 04.01. - 14.03. Prices include bed linen, towels and use of internet (WiFi). Turist tax is to be paid extra. Children up to 2 years are free of charge if sleeping with parents. 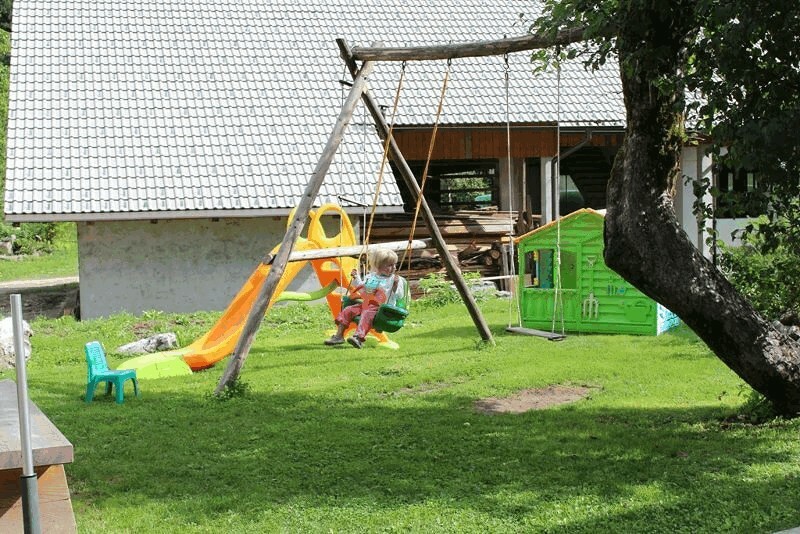 children up to 7 years have 50 % discount and children up to 12 years have 20 % discount. We do not give any discounts from 25.12. till 02.01. and from 01.07. till 31.08. 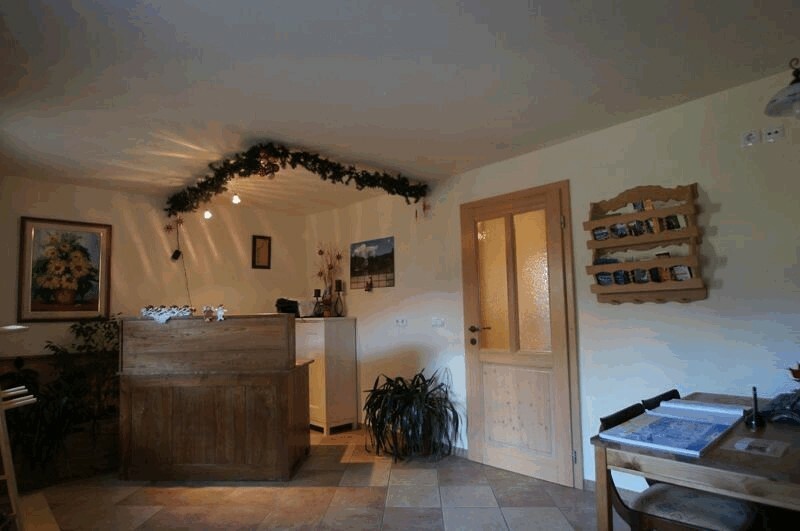 All prices are in EUR / per night.